How much do you charge for carved or novelty cakes? Prices vary depending on size and complexity of the design. Please contact me to discuss the details. Do you do custom cake flavors? My cakes are made to order, so if you have a flavor in mind, let me know and I’ll do everything I can to make it for you! My basic cake flavors are listed under Flavors. I can make display cakes perfect for bridal events or outdoor weddings. Please contact me to learn more. Do you have a retail storefront where I can walk in and purchase a cake on the spot? No, I am a by-appointment only shop which specializes in custom orders. I do offer delivery for a fee of $1 per mile, depending on availability. How can I order a cake, cupcakes, cake pops or push pops? I can take orders either by phone or email. Do you make gluten-free, dairy-free or eggless cakes? I don’t do allergy sensitive cakes but can gladly refer you to someone who does! 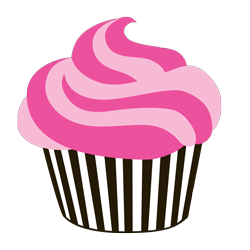 Do you ship your cakes, cupcakes or cake pops? As a cottage baker in Texas, I cannot ship my baked goods. Let me know when you’re coming in town and I’ll gladly have something for you!